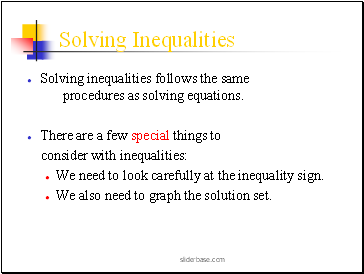 Solving inequalities follows the same procedures as solving equations. 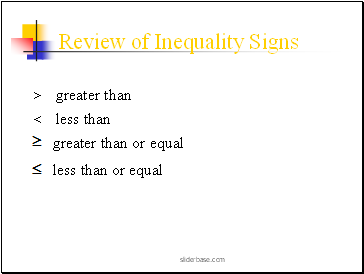 We need to look carefully at the inequality sign. 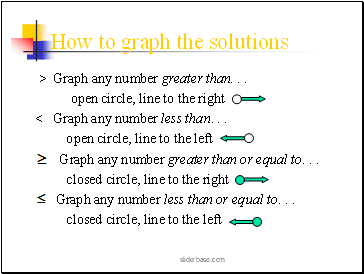 We also need to graph the solution set. > Graph any number greater than. . .
< Graph any number less than. . .
Graph any number greater than or equal to. . .
Graph any number less than or equal to. 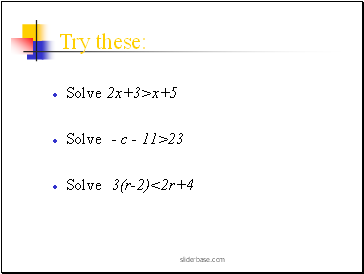 . .
Subtract 4 from each side. 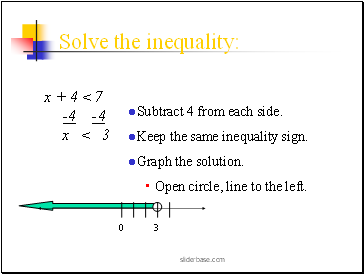 Keep the same inequality sign. Open circle, line to the left. There is one special case. 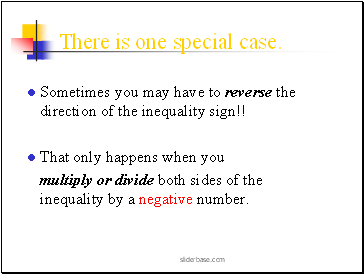 Sometimes you may have to reverse the direction of the inequality sign!! 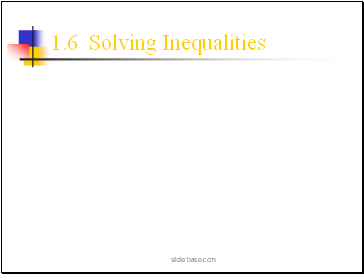 multiply or divide both sides of the inequality by a negative number. 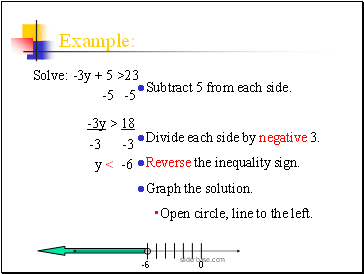 Divide each side by negative 3.